The changes with the Atlanta basketball scene don’t stop with talented rookies like Trae Young. 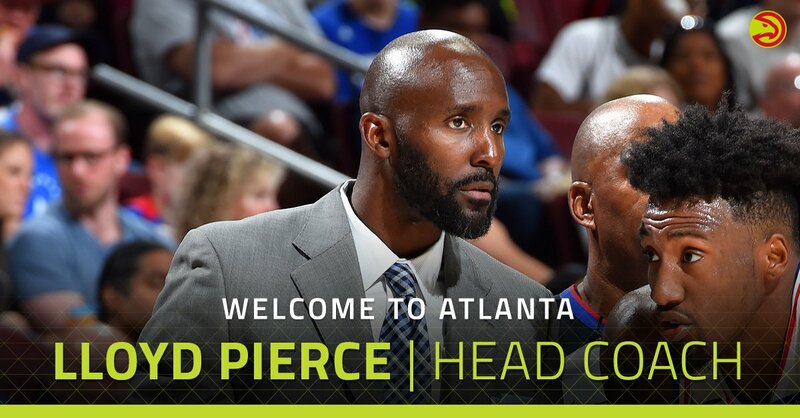 The ATL is boasting not one, but two new coaches, including Lloyd Pierce with the Atlanta Hawks and Nicki Collen with the Atlanta Dream. Both are new to coaching and new to Atlanta with big expectations laid out for them. For Coach Pierce, his leadership skills will be essential to the success of the new basketball season for the Hawks. I caught up with Coach Pierce on Monday to ask about his expectations for the season. While the younger players goofed off, enjoying the spotlight of the reporters, Pierce’s demeanor was quieter and more reserved. So you’re new to the Hawks this year and we’ve got a lot of new people on the Atlanta basketball scene. We’ve got Coach Nicki with the Atlanta Dream, she’s new, new players, Trae Young, so with all these new people on the basketball scene, how are you guys all adjusting together to create a new image? I don’t know if we’re creating it. I think just being here at the right time, at the same time, there’s a lot of newnesses. In addition, we’ve got our arena which will be brand new. The Mercedes Benz stadium is only here a couple years now, Braves stadium, Sun Trust is very new, so I think the newness is a lot of different factors. What’s most important is we’re joining. I’m joining, Trae’s joining, Nicki’s joining, at a good time. We’re starting to see more success with the Atlanta Dream, and them being a game away from the finals, and the Braves winning the division. So I think the excitement is more of a collective thing with different stadiums, different personnel, and the success of all the different programs. So with all this newness and the growth of Atlanta in general over the past few years, what are your expectations going into this new season? The expectation is really just starting. I think people ask all the time “what’s the goal?”, “whats the end game?” We learned a long time ago, through different programs, that you can’t put a ceiling on something because you’re restricting your guys and I can’t give you a low end because I don’t wanna take away confidence from my guys. So I think the expectation is first and foremost we want to get started and see what we have. Then we can assess what we have and who we have and then the next phase is just how do we help them get better. What’s the growth and development plan of each of our guys? When you have a lot of 20-year-olds and 21-year-olds and a lot of our guys playing their first few games in the next couple weeks, how do we ensure and make sure that they’re better? Not only October 1st, but how they’re gonna do better next month. We’re going for an upward mobility phase where each game, each week, each month, that’s the biggest goal. At the end of the year, we want to be significantly better than we were when we started. How do we keep that process, that journey going? Absolutely. Coming from past seasons and also with so many rookies, how are you keeping that confidence level up and inspiring these new team members to do better and to really improve going into the season? Yeah, it’s just work. When you have a bunch of young guys that haven’t played, their answers aren’t really valuable right now because they don’t really have a reference point to use. So it’s our job to try and educate them and get them to understand this is what the NBA is. Even guys like John Collins, who just completed a year, this is what happens in the second year. Our expectation increases and the role increases [so] how does your productivity increase as well. [We’re] just trying to give them different answers, different solutions, different ways of understanding that in order to do more, you have to put in more. That’s just the amount of work and the communication that we have with our players, the consistent communication we have with our players. And just the follow through. It’s our job to follow through on what we preaching and try to help them be in positions where they can be just a bit more successful every time now. Having had a chance to see the players, see their strengths and weaknesses, do you have a game plan necessarily for going into the season for how you can play off those to create a strategy? Yeah, we have a foundation both offensively and defensively that we’re looking to do. I know what I want. I know what I’m looking to instill and we’ll start working on that tomorrow. None of that matters until you start playing and you start assessing what’s best and what’s not. A lot of times you find out what’s not sooner than later. The sooner you can find out, the sooner you can make your adjustment, and in our league, regardless if you’re the top team or your the bottom team, you’re gonna have to adjust regardless. Nothing is just foolproof. But we have a foundation on both offense and defensive ends that we’re working on, that our guys will be working on, and we’ll get to it tomorrow. So speaking of adjusting, how has it been adjusting to the team and adjusting to the city as well? The easy part, being here in Atlanta, is it’s an amazing city. I’ve been here many times, obviously with the NBA. My sister lived here when I was in college so I came to visit often in my 20’s. So I know the city, I know the city very well. I have family in the city and outside the city. So the adjustment, from an adjustment standpoint hasn’t been tough, I’ve always loved Atlanta. Just trying to get adjusted living here has been a challenge because I just moved in about a week or two ago. 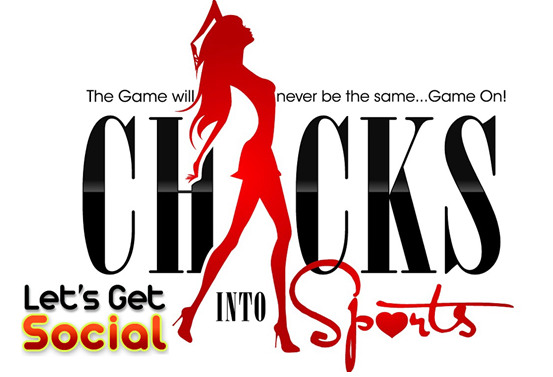 My life has always been affected by sports and nothing is more entertaining than a good game. It started in college when I was on the dance team and I watched from the sidelines and my interest took off from there. Whether I’m shooting the hoops or watching the Superbowl, there’s nothing like the adrenaline of an eventful-filled match in front of a roaring crowd. Sure, there’s plenty of heartbreak watching some of my favorites like the Chicago Bulls or the New Orleans Saints (yes, I realize I live in Atlanta and I’m a traitor for also liking the Falcons). But what can I say. My posts always aim to please, but we all know facts are facts!